The return of human remains from Germany to Namibia, the claim of Ovaherero and Nama representatives in front of a US court, the restitution of colonial artworks currently exhibited in museums in Berlin, Paris and London: the repercussions of Europe's colonial past to its postcolonial present are gaining an increasing audience. While the present day repercussions of Europe's colonial past are finally being discussed more openly, we take a close look on International Law and justice in postcolonial contexts in this three-day conference in Swakopmund. 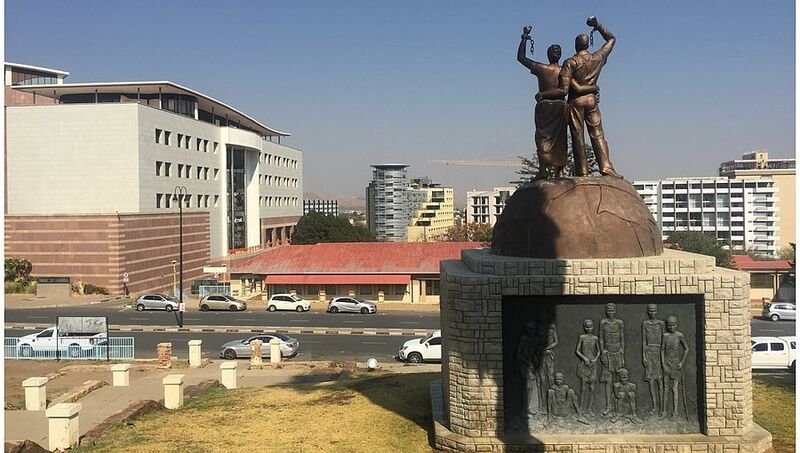 115 years after the genocide against Ovaherero and Nama peoples, as part of the event-series "Namibia: A Week of Justice" the conference gathers lawyers, artists, historians and civil society experts from 27-30 March to question the way colonial injustices are being addressed. This interdisciplinary setting combines plenary sessions, workshops, artistic contributions and visits to memorial sites. The conference is organized by the Ovaherero Genocide Foundation (OGF), the Nama Traditional Leaders Association (NTLA), Nama Genocide Technical Committee (NGTC), the Akademie der Künste (AdK) and ECCHR. It is kindly supported by Rosa-Luxemburg-Foundation. The conference in Swakopmund is upon invitation only. If you want to attend the conference as a guest listener, please turn to event.namibia@ecchr.eu. Please find the full conference program here. The conference will close with a public event in Swakopmund. More information on program and registration can be found here.